Serving over 140 NZ Companies Exporting Certified Organic Products to 90 markets around the world earning $360 million in export receipts and a market sector value of $610 million. Our membership network is diverse and includes a mix of New Zealand’s largest exporters through to smaller family based operations as well as the New Zealand organic certifiers and regulators. The core role of the Organic Exporters is to link members together to share knowledge and resources and make progress on the common issues as we strive to deliver the vision of a vibrant and growing organic export sector. Applications for Organic Exporters membership are open to all organisations - including those not currently exporting, but which are interested in promoting the opportunities for New Zealand organic products. Organic market opportunities continue to grow strongly but so does the complexity. The collective support and information sharing offered by the Organic Exporters network is increasingly important to navigate this environment as we strive to grow our organic exports. International Organic Trade Shows - calendar and updates. We provided discounted costs on all Trade Shows. The Organic Exporters Association has been a champion for organic regulation in New Zealand since 2012. As one the three foundation members in the inaugural “New Zealand Organic Regulations Working Group” in 2012. The Organic Exporters Association published the first Organic Regulations “White Paper” in 2015 for consultation with MPI. In August 2017 the formal process with government began. We met with the Food Safety Minister, the Honourable David Bennett to provide further framework. In November 2017 some of the Organic Exporters executive team met with the MPI government officials who are charged with developing the organic regulation framework. In March 2018 we met with the Minister of Agriculture the Hon Damien O’Connor and the key MPI officials who are charged with developing the organic regulation framework. We had further high-level meetings with MPI in May 2018 prior to the release of the MPI organic discussion document in May 2018. The government intends to create new legislation specifically for organics. It could be expected that the legislation will be passed relatively quickly and could be enacted as soon as May 2019. We continue to work with the officials on this legislation through March 2019 and until completion. 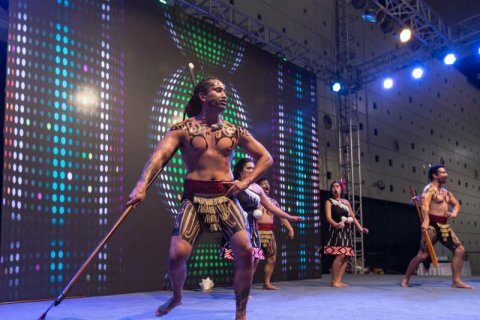 Shanghai is on again and we are working with the German NZ Chamber of Commerce to make this event another winner. 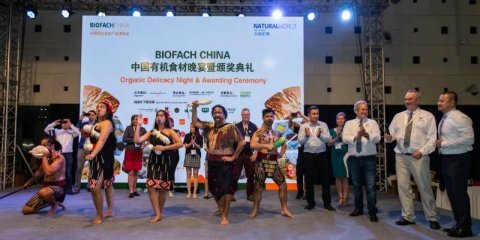 China’s organic market is valued at US$10 billion and organic products certified to Chinese organic certification from New Zealand is worth over $30 million. NZPR Group Ltd have kindly created the concept drawing of the pavilion. Interested parties are requested to contact Rick Carmont.